Why Should Golf Carts Should Be Fitted With Airbags?Why Should Golf Carts Should Be Fitted With Airbags? HomeGolf CartsShould Low-Speed Vehicles Be Fitted With Airbags? Should Low-Speed Vehicles Be Fitted With Airbags? Golf carts have come a long way over the past few decades. Until recently, they were strictly relegated to golf courses and would struggle to reach a maximum speed of 20 mph. Today, low-speed vehicles (LSVs) are an official designation of the motor vehicle recognized by the National Highway Traffic Safety Administration (NHTSA). And in most states, they can be driven on city streets with other traffic. The fact they are now on streets, not just golf courses has raised some serious questions about driver and passenger safety. Even though LSVs must include certain safety equipment, such as seatbelts, airbags are not required. Some groups believe that a street legal golf cart should have airbags while others say that seatbelts are adequate. During the 1980s and 1990s, master-planned communities in suburban areas became increasingly popular with middle-class adults, upper-class professionals, and retirees. Many of these communities touted an inclusive lifestyle in low-traffic neighborhoods with several amenities. One of these amenities was offering golf carts for use by residents, and residents were encouraged to buy golf carts of their own to visit friends, go to the grocery store and run quick errands. Golf-cart communities, as they came to be known, soon expanded out of private subdivisions to regular city streets, and the golf carts would mingle with regular traffic and drivers from outside the community. The sharing of main roads with golf carts and automobiles raised several safety concerns, and soon, states began to adopt laws and set regulations concerning golf carts driven on public roads. 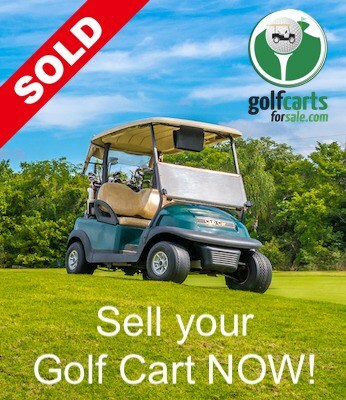 As golf-cart communities continued to grow, golf-cart manufacturers began to develop and produce new vehicles marketed to those who planned to drive them outside of golf courses. This gained the attention of the NHTSA, which is responsible for ensuring motor vehicles are manufactured according to federal safety regulations. If a vehicle meets the above criteria, it must comply with the standards set forth for LSVs. Otherwise, the vehicle would have to meet the much stricter standards for automobiles. The addition of the seatbelt requirement was a highly contentious issue, and several organizations attempted to have it omitted on the pretense of causing more harm than good. It was argued that seatbelts prevent occupants from jumping out of vehicles in attempts to reduce injuries. B,ut the NHTSA rejected this notion after determining that seatbelts will, in fact, save lives in the event of collisions. Since seatbelts are required, many people have wondered why airbags are not, and the answer partially lies with the research done on seatbelts. According to a meta-analysis of golf cart and LSV crashes, most injuries occur when a cart overturns, when a passenger falls or jumps out of a moving golf cart and when the cart collides with a stationary object. Injuries from multi-vehicle collisions are so rare they do not even make it into the top six reasons. Because of the above facts, the NHTSA believes that passenger safety can be protected best by keeping passengers inside the vehicle, and seatbelts are 99 percent effective at doing so. Airbags, on the other hand, may help in rare instances, but they are of most benefit in mid-to-high-speed collisions. 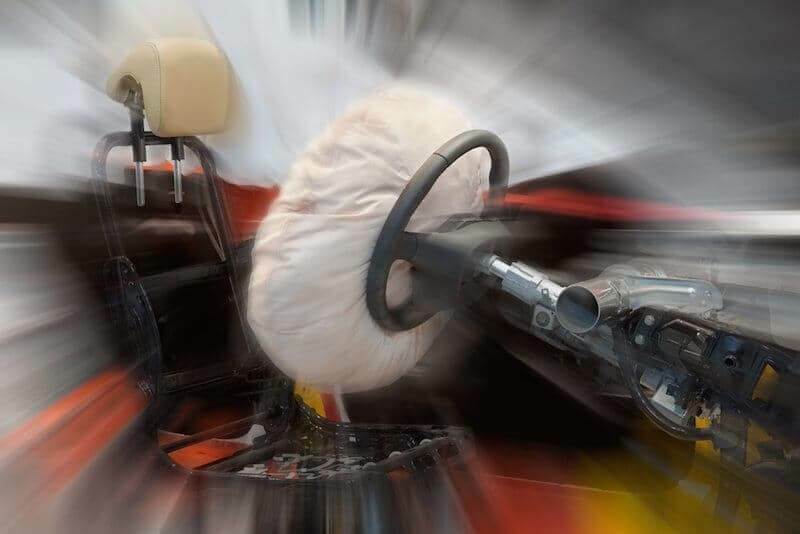 Airbags can do very little to prevent injuries during rollovers, and when colliding with stationary objects, they are not necessary at speeds of 25 mph or less. Obey all traffic laws, be courteous and never go on joyrides. Do not drive under the influence of alcohol or other drugs. Remain attentive at all times. Wear safety belts at all times. Keep all body parts inside the vehicle. Drive at a safe speed for current conditions. What Is the Difference Between a Golf Cart and an LSV? Why do Golf Carts Fail Crash Tests? This entry was posted in Golf Carts.